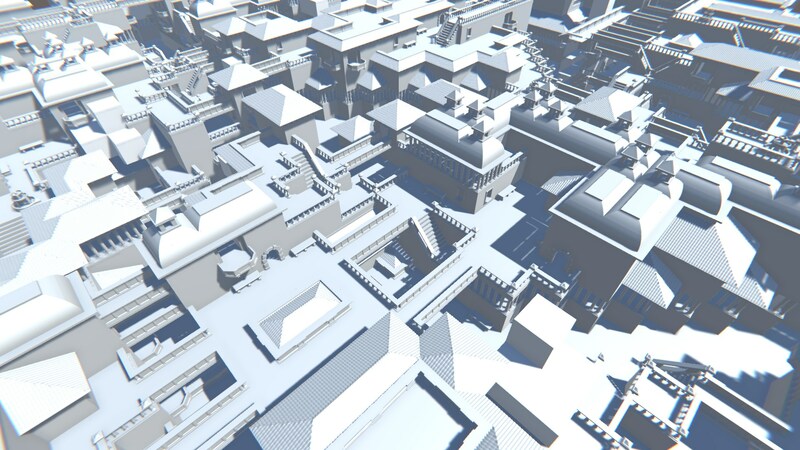 An infinite, procedurally generated city, assembled out of blocks using the Wave Function Collapse algorithm with backtracking. Currently, there is no gameplay, you can only walk around and look at the scenery. Keyboard Controls: WASD for walking, Space to jump, Shift to run, Ctrl to jetpack. Flight mode: Use M to toggle between flight mode and normal mode. In flight mode, you fly across the world, without any controls. Read more about the WFC algorithm here. To view the project in Unity, import it and download the Postprocessing stack from the Asset Store. Alternatively, you can remove the Post Processing Behaviour from the Main Camera. Would you tell us more about marian42/wavefunctioncollapse?